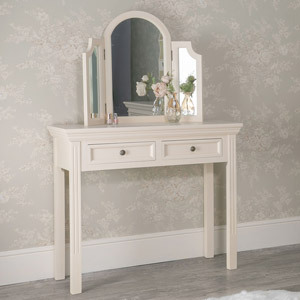 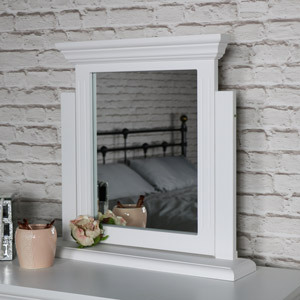 This Daventry White Range dressing table set is ideal for vintage, contemporary or country styled homes. 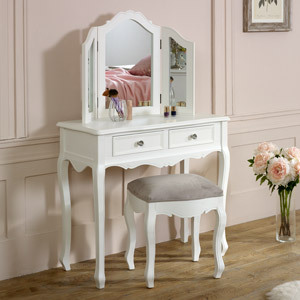 Featuring dressing table, tabletop mirror & stool. 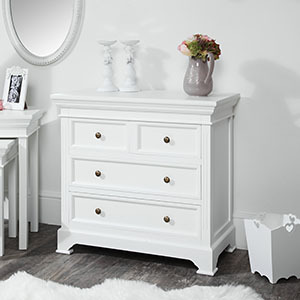 This range also comes with matching bedroom furniture. 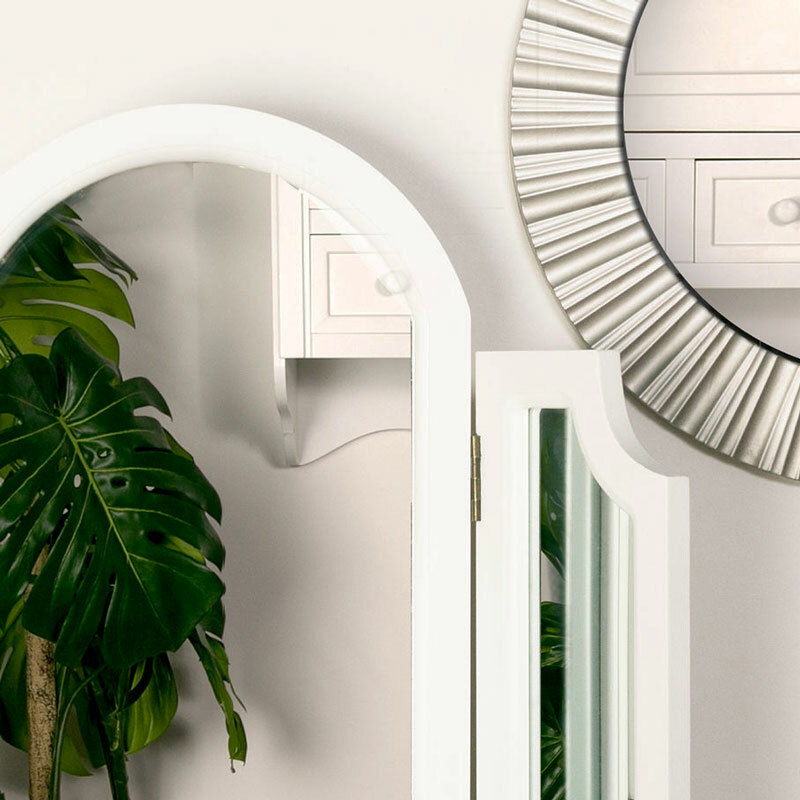 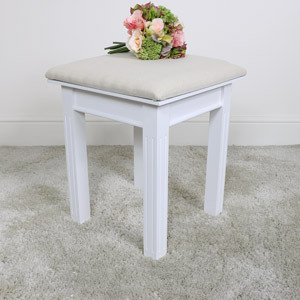 Hints of a Georgian style and painted in white that will match with most interiors. 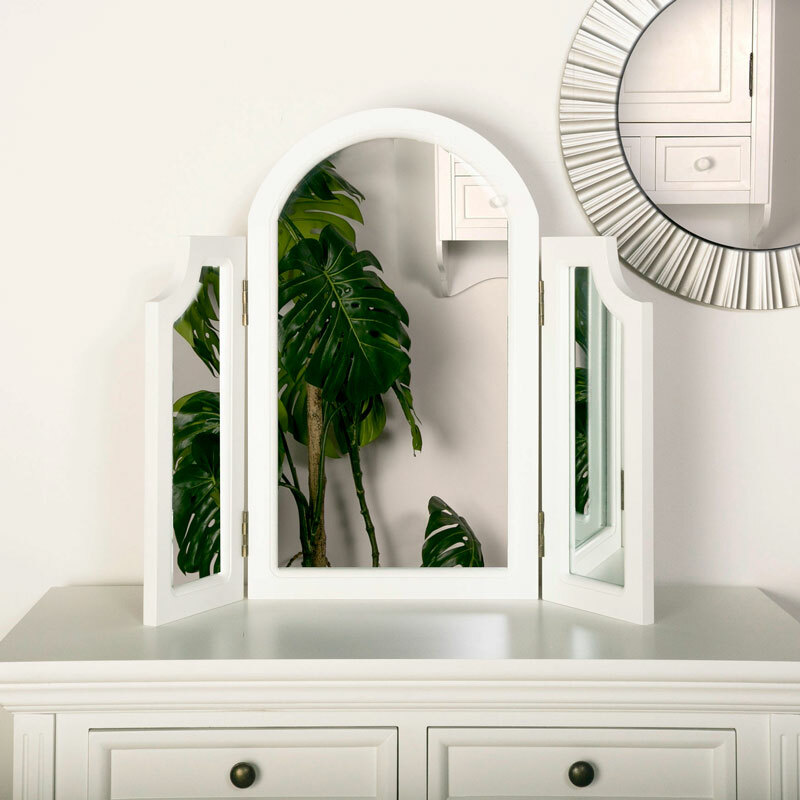 The table comes with round brass handles on the drawers, accompanied with a tabletop mirror and cushioned stool. 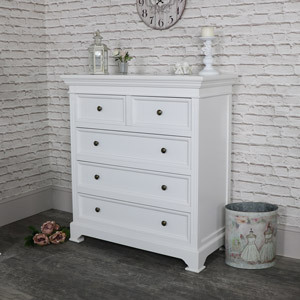 The Daventry White also comes with a wardrobe, chest of drawers and bedside tables for a complete bedroom furniture set. 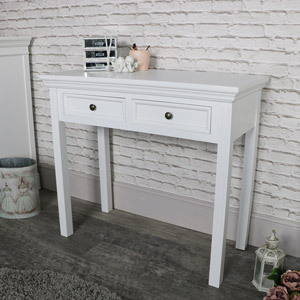 If you love the Daventry White Range, you can carry on this elegant style throughout your home with the TV cabinet, nested tables and display cabinet. 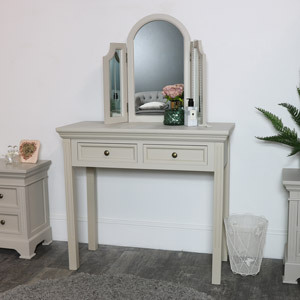 This Daventry White Range dressing table set is ideal for vintage, contemporary or country styled homes. 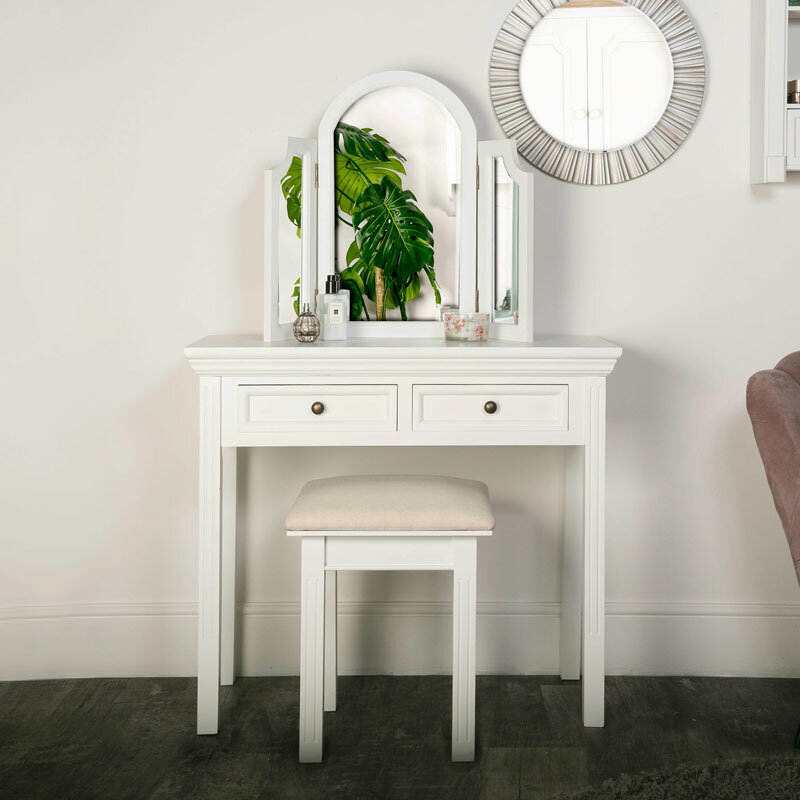 Featuring dressing table, tabletop mirror & stool. 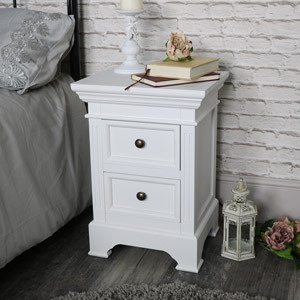 This range also comes with matching bedroom furniture. 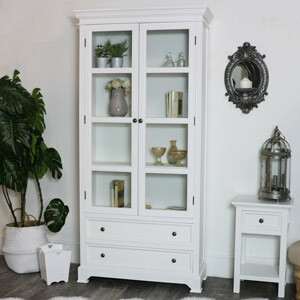 Hints of a Georgian style and painted in white that will match with most interiors. 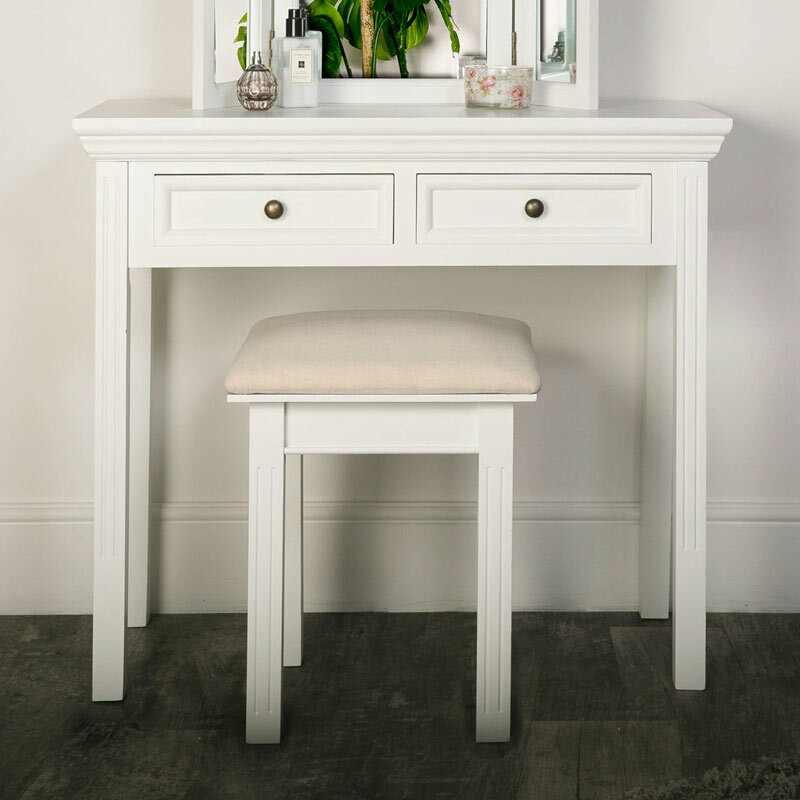 The table comes with round brass handles on the drawers, accompanied with a tabletop mirror and cushioned stool. 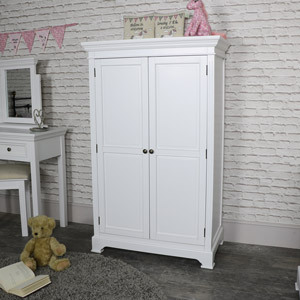 The Daventry White also comes with a wardrobe, chest of drawers and bedside tables for a complete bedroom furniture set. 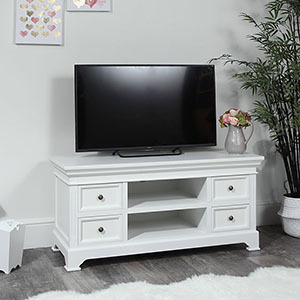 If you love the Daventry White Range, you can carry on this elegant style throughout your home with the TV cabinet, nested tables and display cabinet. 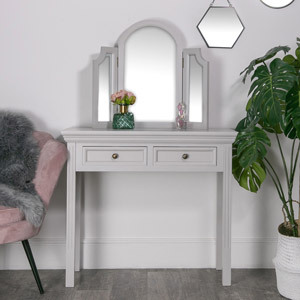 This 2 drawer dressing table set is perfect piece of furniture for adding that something special to your bedroom, hallway or living room décor. 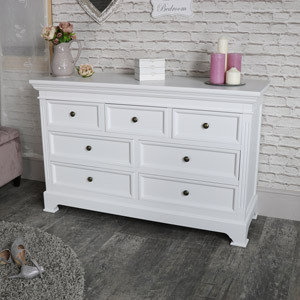 We have more furniture available in this range for you to complete a bedroom makeover, with wardrobes, closets, bedsides and chest of drawers, in 2 sizes, perfect bedroom furniture with all the storage you need.